"Heidi drove up the the mountains to do my bridal hair and my bridesmaids and did an incredible job! She is hilarious, quick and did a stunning job with all our hair. Heidi was very helpful, accommodating and reasonably priced. I had fun getting to know Heidi as she did my hair trials - which made me feel super comfortable." 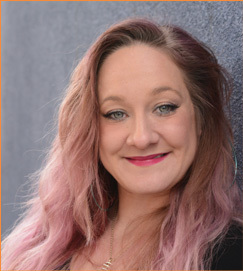 A second-generation stylist and Denver native, Heidi has received extensive post-licensing training in a wide range of product lines and techniques under some of the best educators and stylist in the region. Heidi understands the value of providing a thorough client consultation that will give her a complete understanding of her clients' concerns and needs prior to starting any service. Heidi's clients know what to expect in the chair and benefit from an education that will allow them to achieve their same great salon look at home. Heidi specializes in hair cuts for men, women, and children, provides outstanding color services, and transformative hair extensions. Heidi also provides makeup, and airbrush tan services. Heidi is dedicated to producing great hair and beautiful, happy clients everyday. She loves to use her skills and knowledge to bring out the beauty in each of her clients.